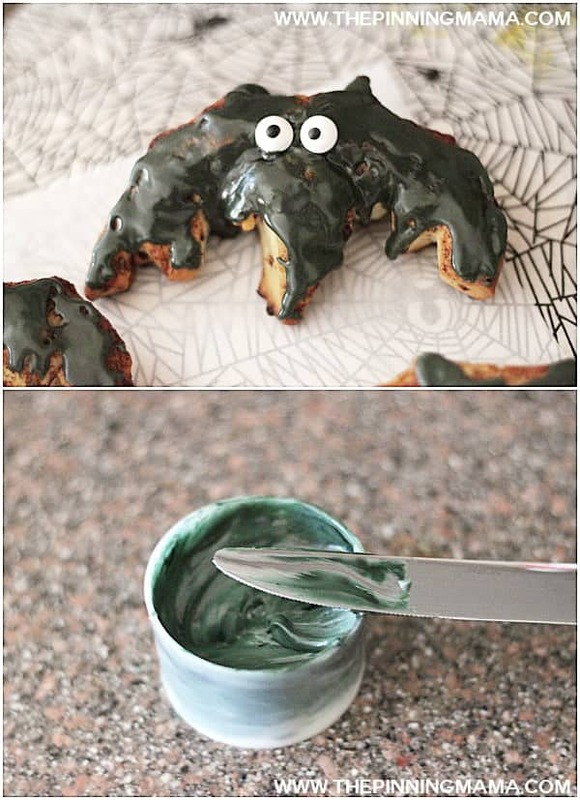 An easy and fun idea for a festive Halloween Breakfast. 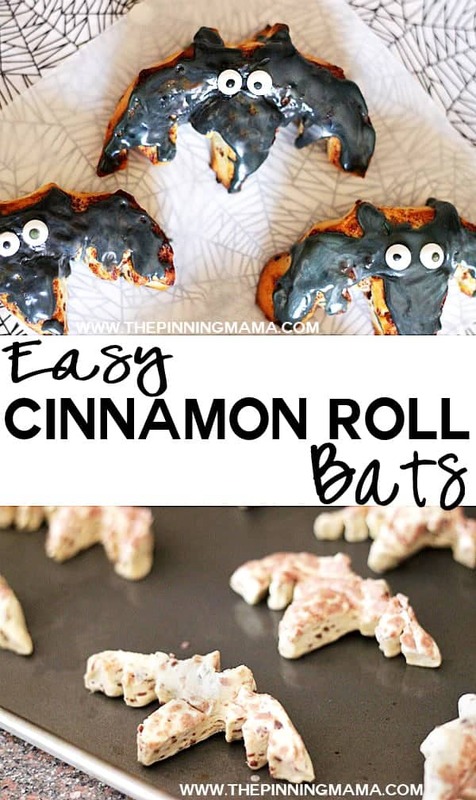 Use Pillsbury Cinnamon Rolls to make these cute little bats for a spooky breakfast treat! My kids seriously get the biggest kick out of food that looks like something. 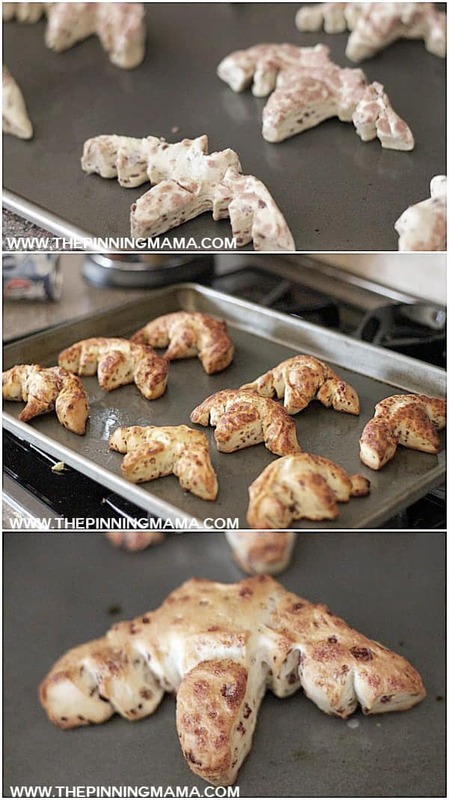 Take a picky eater and make the food into a fun shape and boom. My kids will eat it. You don’t have to be picky to love Pillsbury cinnamon rolls but they do make it super easy to make a really fun breakfast in minutes and with the count down on for Halloween, we have been having all sorts of spooky treats around here! Preheat your oven and then pop open your tube of cinnamon rolls. Take out the round rolls and grab your food scissors. All you will need to do is make a few cuts here and a few pinches there and the bats will start taking shape. First make two cuts by designating a middle point and cutting outward at a slant toward the outside of the roll in each direction about an inch (see second picture.) 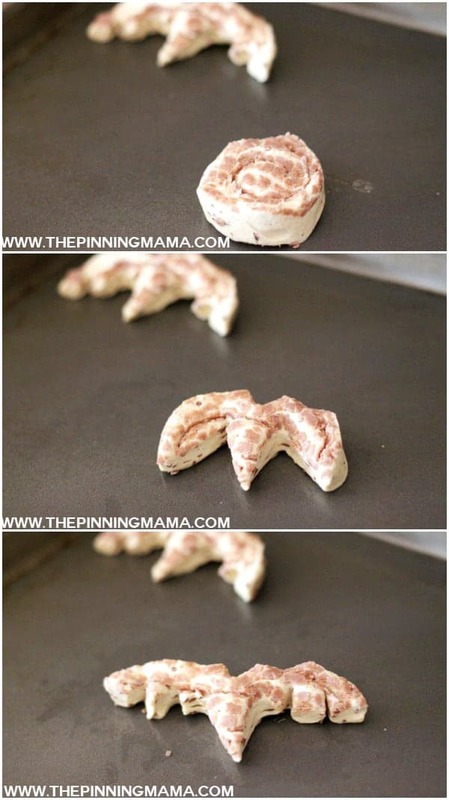 Pull the sides out to start to form the wings and then use your fingers to make an indention directly above the point and make two pointy ears on either side by pinching the dough. Next cut two slits on each wing and again use your fingers to make them pointy forming the bat wings. It is okay to over exagerrate the points and cuts a little bit as it will bake back together a bit in the oven. Repeat this process to make each bat and then bake them in the oven at the directed temperature. I cut the baking time down by about 2 minutes since they were more spread out and it seemed to work well. While the bats are baking stir in a few drops of black food coloring into the icing and mix well. When the bats are done, let them cool a few minutes then spread each one with black icing and place two candy eyes on top. 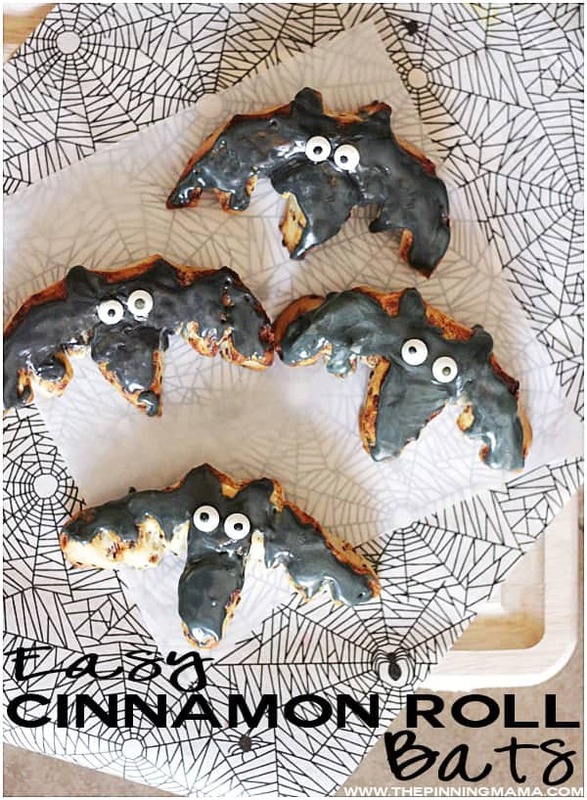 Let the fun begin when you serve this spooky halloween breakfast! Enjoy!